We are launching a new range of premium Unleaded and Diesel Shell V-Power fuels. Watch video below as Sebastian Vettel talks to us about how he prepares for a race with the Ferrari F1 team and how he masters performance. 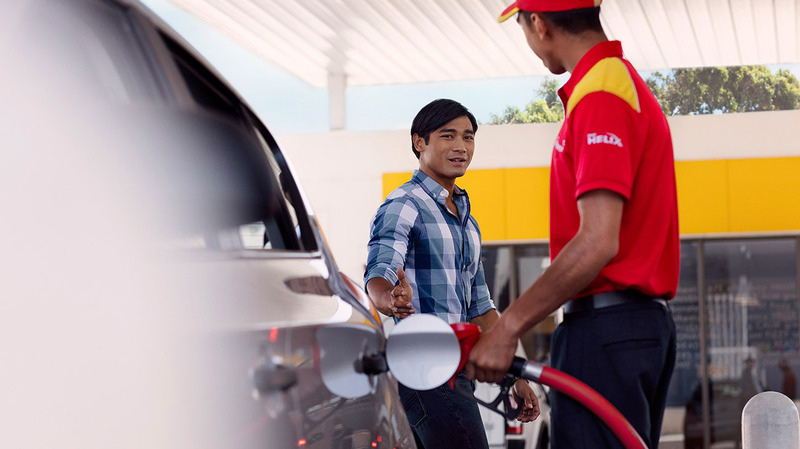 Try Shell V-Power next time you fill up. 1 New compared to previous Shell V-Power formulations. Boosted compared to Shell's regular Maingrade fuel. Helps to restore engine condition by helping to remove performance robbing deposits from key fuel system components such as intake valves and/or fuel. Actual effects and benefits may vary according to vehicle type, driving conditions and driving style. No guarantees provided. See www.shell.co.uk/dynaflex for more information on Dynaflex Technology. 2 Boosted compared to Shell's regular Maingrade fuel. Designed to help clean and protect key fuel system components such as intake valves and/or fuel injectors from the build-up of performance robbing deposits. Actual effects and benefits may vary according to vehicle type, vehicle condition and driving style. No guarantees provided. See Shell.co.uk/dynaflex for more information on Dynaflex Technology. 3 Helps to clean key fuel system components such as intake valves and/or fuel injectors from the build-up of performance robbing deposits. Actual effects and benefits may vary according to vehicle type, vehicle condition and driving style. No guarantees provided. See shell.co.uk/vpower for more information. 4 Compared to Shell's previous formulation of Shell V-Power unleaded. Friction reducing molecules help critical parts of your engine. Actual effects and benefits may vary according to vehicle type, vehicle condition and driving style. No guarantees provided. See shell.co.uk/vpower for more information.